This is just my little shout. This year's Star Wars was really good, I felt. I enjoyed it thoroughly. Except a few old CG software look appearing, the storyboard was written out in details about why people did what they did and how they felt. Things becomes black or white, but before reach to that conclusion, we see hell a lot of gray bits. It felt as if the original Star Wars spirit came back, finally sitting well with me. And there's something in the air. Internationally. Some sorta freshness I can feel. Did it anything to do with To The Star Academy related military disclosure happened in Dec with Tom Delonge? Maybe that was a part of it, but not sure. 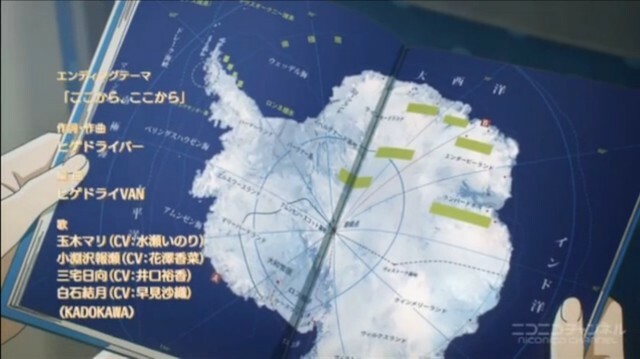 It's called "宇宙よりも遠い場所"("The place where is further away than the Space"). 2 high school girls decide to go to Antarctica. 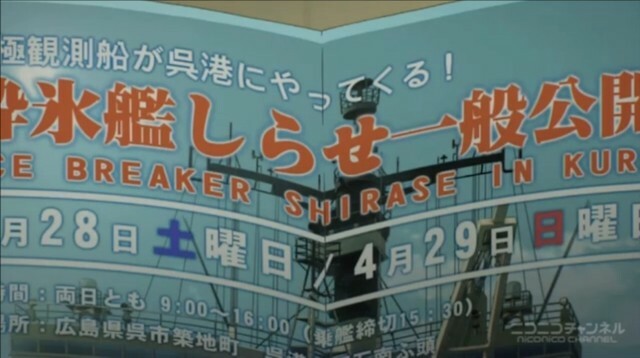 The Jpnse gov must be backing the production full on, though no credit's been given out in the end roll, for the real Arctic research ship "Shirase" appear and using the real deal data. I highly smell the intel message to appear in this series. Possibly some sort of answer and declaration as the Humanity. IDK yet. We will find it out. Why the hell I'm posting No Subs Fulford vid here? That's because I thought he's saying the stuff you don't get to hear unless you were a paid customer to his site. Ben's website manager is suffering from a terminal cancer at the age of 37. He was asking for support from his readers before, because his account got frozen by the Japanese Tax Dept. Ben said it's BS allegation and Jpnse gov telling him to pay some sum of $s or he can't touch the money in his account. So some peeps paid to him some bucks, he's saying thank you to those who did. He collected close to US$25,000, spending most to pay for the treatment of the terminal cancer patient. This woman didn't smoke or drink, paying health a close attention. Then suddenly got told that she got a terminal cancer. Amusingly, CBTS about QAnon is gathering more intel peeps from different streams. The individualised connections among the intel peeps now feel as if the interest in everyone is not focused to work for the immediate bosses, but actually everyone really chipping in to see how far the HUMANITY can make the big leap as specie. ....Meaning there are those Intel peeps shaking hands among them, working to support ALL OF US, just like military peeps are doing so by standing up against the invaders/oppressors. This could happen when the beans are spilled---and Tom Delonge and his team did crush a dam of disclosure on 12th December 2017 (if my memory is correct!). I maybe wrong, but I HOPE that'd be the case. Not being in a hive-mind system, but "accepting the roots together" as something far bigger and important than what invader's control is. Collectively we are moving forward. Igor is known to PRODUCE vids to upload. But at the same time, he had some genuine stuff, too. His info is often around and in Russia, tying up with some Sorchia Farliolio info as well. So please be ware. 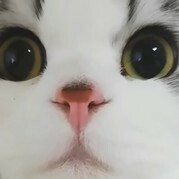 Mmmmmmmmmmmmm..... I thought some of us had seen Nordics before. I wondered what those peeps thought about these females. What I couldn't just laugh at this vid and forget about is---even taking the height of shoes they are wearing into consideration, and take them off, I think they are still waaaay tooo friggin tall. Please take a look at the left female's Right arm...that's bending in the position where I don't think you can fake to be in the shape, if you actually had your own arm inserted along a much longer straighter piece to fake the length. Whether peeps believe in those 2 females being the real deal non-human humanoids, I believe Kremlin does associate with a number of alien groups, and ONLY BY INVITATION, people can come visit deep inside there, I heard. Err....just please try to imagine this. Meeting them right in front of you. Would you be "scared", or rather your heart would be filled with awe with curiosity and wanting to communicate with them, if they are smiling at you?? I'd fall for their charm straight away, knowing they are not Human. That's one small step for a person as a Human takes. But it's the biggest leap for mankind, shifting to a new paradigm of reality. We go out to Space thinking "maybe we can make new friends". We will find out. I found someone doing the analysis over the vid I posted above. Jump to 3:50~, you will see the pics from Russia about the 2 tall sisters. While the poster, kinninigan, thinks they are "just humans" after all, I am NOT SO SURE about that. I happen to know that Russia is on the move to reveal the "life together with aliens and hybrids", bravely showing that we can accept and welcome "others". To the Russians, it's been a norm, I guess. They got their disclosure done ages ago. And please just imagine this....if we could naturally enjoy sharing like coffee and tea together, wouldn't you feel kinda close to those who might be ultra different from us, the Humans? When we discover something that we resonate together with like appreciating the same thing, we make friends, yeah? That seems to apply to learn to live with whole bunch of "aliens". Nothing different from us, the Humans, meeting foreigners and learn about them, learn to live together with them, absorbing each other's cultures. While I don't come from Dr. Greer's point of view of accepting anything and everything coming from the outer space, I don't say all aliens are our enemies, either. Getting back to re: the sisters....they are NOT Nephilims. (c)kinninigan 2017 Thank you for the vid! This just came through on my FB feed. Anyone know if its true? Protests in Iran to take out the controllers? Perhaps this is the reason for all the planes? And Trump is tweeting about 'all the world is watching'. Perhaps this is the same clean out we saw in Saudi Arabia not long ago. link: Jerusalem Post - "Iran protests: What we know, and don’t know"
What does it mean for the Middle East? Do the protests go beyond the narrative of "hardliners and moderates?" The protests have revealed that there is a large amount of frustration in Iran that goes beyond the simplistic narrative of “hardliners” and "moderates” through which many western analysts like to see Iran. Unlike during the 2009 protests, where the protesters were largely seen as political partisans of the “moderates,” these protests so far seem leaderless and uncolored by political overtones. That may change, but they have revealed the economic issues and widespread discontent with the Islamist regime and have supporters among a spectrum of the population. Trump tweet: "Iran ... has now closed down the Internet ..."
Jess, I got intel peeps coming back to me about it. Did you feel weird about the shown # of airplane icons are not exactly a lot? Anyway, that's what I felt. So I asked around. Got the answer. It's a BS info, apparently. There is a lot going on in the US and beyond. This guy is covering most of it. Since early Nov., there's been a guy tweeting from India about the threat of nukes going off in Denver and Las Vegas on NYE. Possibly 12pm-3am. Here's one of the tweets from Dec. 26th. Earlier today the Darling Tennis Center was lights/power out and all events for tonight had been cancelled, so someone was taking something seriously. No other power in the area was out. "Unfortunately the Center is still without power so all evening activities are canceled. We are working hard to fix the issue! Thank you for your patience." A video about "these nukes" We've heard many times that "ISIS" intent is to nuke us. However, if I had my pick, I'd say some of "deep state" are capable, and in any case we are aware of who created, armed and trained "ISIS". ok, now recall on Oct. 1st, it was said that there was going to be an attempt to nuke Las Vegas, but Q said that effort had been thwarted. Also it was said if you saw 3 black SUVs together, to get as far away as you could as fast as you could. So today, we have had an incident in Houston, with an armed man being found in the the Hyatt-Regency. Plus there was a fatal shooting of two security guards in Las Vegas (yesterday) and a shooting in Denver. Co-incidences? "Last night, a large number of aircraft were spotted leaving Iran with “no callsign, origin, or destination.” Strategic Sentinel, a DC-based firm that provides “nonpartisan international relations and national security analysis,” raised the prospect that the live flight radar data may suggest an “exodus,” is in progress." So then, since we've "tentatively" tied Iran to N. Korea, via money/technology provided to Iran by Obama, and considering Valerie Jarrett, O's top advisor is Iranian, even lives with them afaik, and considering that Obama was in N. Korea in late Nov., dare we hope that this house of cards in Iran is going to fall, and possibly take Kim/N.Korea and Obama and his advisor with it? Interesting New Year shaping up. A lot of these major players seem to be MIA lately. Happy New Year everyone. Go about doing what you do, without fear and enjoy your night. @breezy Yeeey awesome pondering as usual!! Though I was confirmed about that particular tweet was a BS via real deal intel peeps, they also won't tell me if that was an Event Trigger Task. So from a different angle, we can say that Tweet content was dispatched NOT aimed to make CT heads go "ping" and react on the matter, but it might had been that it was for another warning nudge to other intel bodies working on the Pedo-Gate to Financial Cleansing matter. In other words, the Tweet could have been aimed from some intel peeps to some different country's intel peeps re: the big move is on going. Again, of course, not to ruffle the feather of any delicate ops, they won't let us know the full picture regardless, besides, none of them know the whole picture either, because of the compartmentalisation of info they carry. ε=(･д･｀*) sigh... I think it'd be quicker if we all train our psychic abilities to create a society where no one can lie to anyone else. 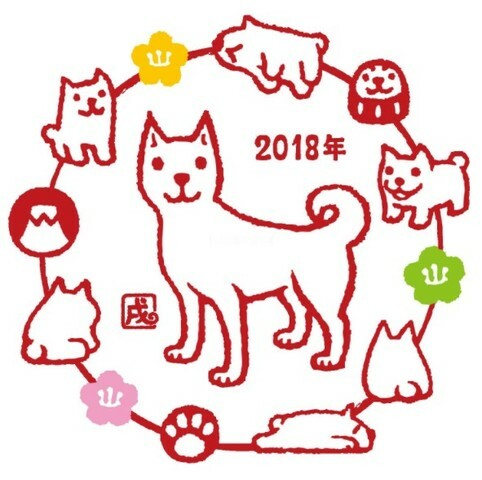 By the way, 2018 is the year of Dog! A Happy New Year 2018!! Then it's my Chinese year return. That's got to be worth something. I hope I make it through this year. Has anyone here looked into shipping containers? They use them for other than tiny houses. I stumbled upon a video about a year ago, and what I watched was quite sobering, especially considering the political environment in the world and the threats by some. 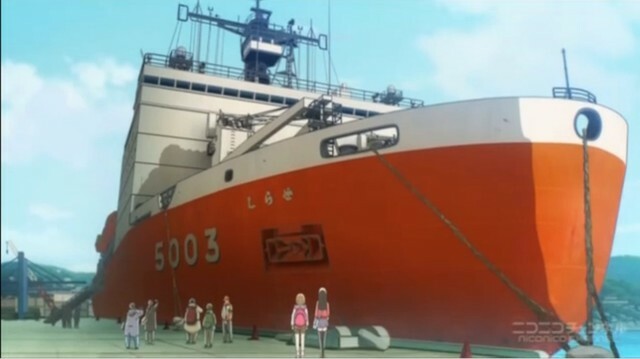 No one needs to have nukes that can hit the USA, all they need is to have someone ship them in. Cargo containers move around the world by every conceivable transportation method, sea, land, air/ship, plane, train, truck. Could be moved around and positioned at strategic points, completely undetected. When I watched that video, I thought oh oh, so then when the above video came out, I felt I knew what the concern might be.. Here's just a hint. Uh oh, NK maybe just bombed one of their own. DID ANYONE ONE WATCH THE X-FILES PREMIER?!?!?!?!??! No Mulva, haven't seen it yet. Bet its good! BTW 2017 Star Wars was great...! Err...Californians...Do You Really Mean It....? A CRYPTIC tweet from Julian Assange with a 60-character code and link to a popular rap song has sparked claims he could have left the Ecuadorian Embassy. Jpnse archaeologists found the indigenous Jomon people were already existing and had villages back then, long time ago. But that info didn't come out to the open for the fear of ridicules from the scientific people....it got hushed up instead, then. Finally the date is getting supported from around the world.